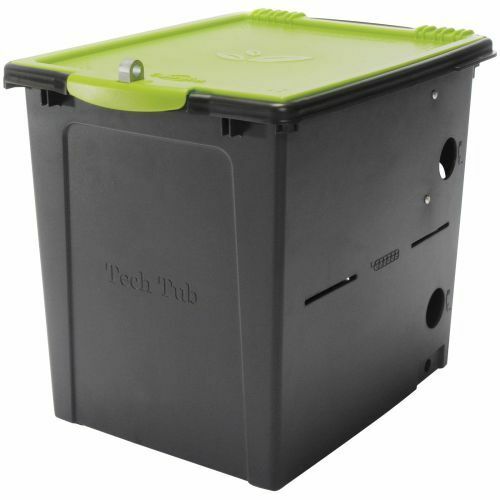 Tech Tub™ is a compact locking and re-charging solution designed to support iPads®, Chromebooks, netbooks and other tablets. Made from highly durable, heat-resistant ABS plastic and features an embedded metal locking block for locking capability to counters and tables. Vented to ensure airflow and prevent overheating. Premium Tech Tubs also include adjustable rail and dividers, 6-outlet power strip (mounted internally), cable management pocket/channel, 2 padlocks with alike keys, and locking block and pin. Lifetime Tech Tub & Lid warranty. 121⁄2"W x 16"D x 14"H. Storage Tub with lid. Device insert, power strip and padlocks not included.